In the days following the firing of FBI Director James Comey by President Donald Trump, the FBI, under Acting FBI Director Andrew McCabe, sought to re-engage with former MI6 spy and author of the Steele dossier, Christopher Steele. The FBI’s attempts to re-engage Steele, who had been fired by the FBI six months earlier for breaking protocol by talking to reporters, were soon thwarted by the appointment of special counsel Robert Mueller. McCabe appears to have been blindsided by the appointment of Mueller, who was appointed as special counsel on May 17, 2017, the day after a meeting with Trump and Deputy Attorney General Rod Rosenstein in the oval office. The appointment of Mueller shifted control of the Russia investigation from the FBI and McCabe to Mueller. 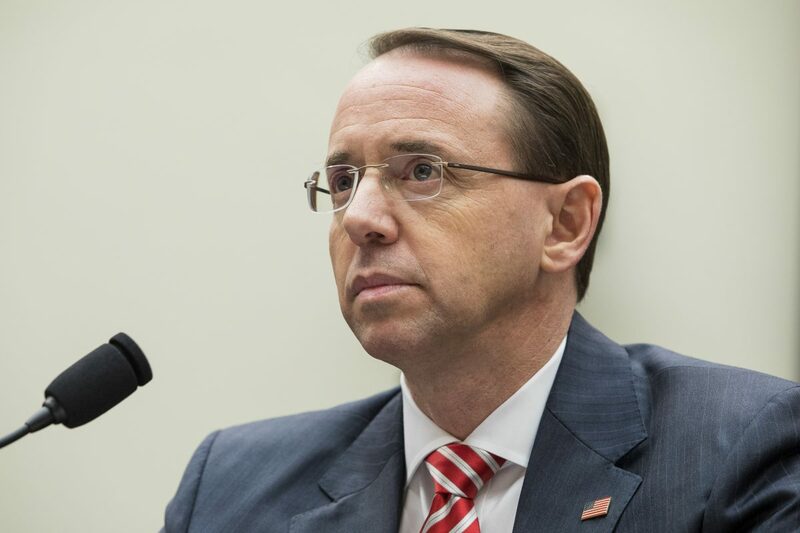 Rosenstein would retain ultimate authority over the probe, and any expansion of Mueller’s investigation required authorization from Rosenstein. McCabe had been a key player in the FBI’s counterintelligence investigation of the Trump presidential campaign, which relied heavily on information provided by Steele. The FBI also obtained a Foreign Intelligence Surveillance Act (FISA) spy warrant on Trump campaign adviser Carter Page using the information. Former Associate Deputy Attorney General Bruce Ohr served as a key conduit in transferring information from Steele, both before and after the FBI terminated Steele, along with information from Fusion GPS co-founder Glenn Simpson. An Aug. 28, 2018, testimony before Congress by Ohr, which was reviewed for this article, sheds new light on McCabe’s involvement in the investigation. His testimony also illustrates how Steele and Simpson passed their information targeting Trump to the FBI, using Ohr as an unofficial back-channel. Ohr, per his testimony, reported directly to then-Deputy Attorney General Sally Yates. Prior to a series of demotions that occurred in December 2017 and January 2018, Ohr held two titles: associate deputy attorney general and director of the Organized Crime Drug Enforcement Task Force. Ohr had also “met Mr. Simpson on various occasions over the years” and his wife, Nellie Ohr, had also known Simpson for “several years.” A 2010 report by the National Institute of Justice listed the three as participants in a paper. Nellie Ohr, who would join Fusion GPS in late 2015 as a Russia analyst, was listed in the report as working for the CIA’s Open Source Works as a researcher. On July 30, 2016, Bruce and Nellie Ohr met with Steele and an unknown associate of Steele’s. Almost immediately, Ohr would initiate a meeting with FBI Deputy Director Andrew McCabe to detail his conversation with Steele. Also present at the meeting was McCabe’s counsel, FBI lawyer Lisa Page, who would play a key role in the counterintelligence investigation into the Trump campaign. Shortly thereafter, on Aug. 15, 2016, FBI agent Peter Strzok would send the now-infamous “insurance policy” text referencing McCabe to Page. Later that same month, the FBI suddenly reached out to Steele asking for the information in his possession. Ohr would also meet with Simpson on or around Aug. 22, 2016. At that point, Ohr says in his testimony, he was aware that his wife was working for Simpson’s company as a contractor, that Steele worked for Fusion GPS as well, and that there were ties to the Democrats and Hillary Clinton’s 2016 presidential campaign. Ohr would have another meeting with Steele on Sept. 23, 2016, and would also meet either that same month or early October with Strzok, Page, and Justice Department (DOJ) career officials from the criminal division, Bruce Swartz, Zainab Ahmad, and Andrew Weissman (Ohr testified that he was unsure whether Weismann was at this or a later meeting). Sometime in late 2016, Nellie Ohr provided her husband with a memory stick containing the research she compiled while employed at Fusion GPS. 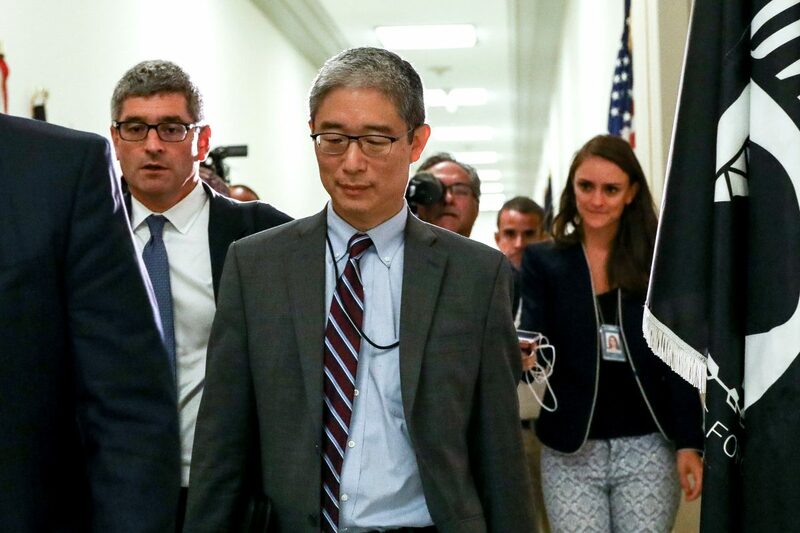 Bruce Ohr testified he gave the memory stick to FBI agent Joe Pientka. Nellie Ohr had left Fusion in September 2016. Steele was terminated as a source by the FBI on Nov. 1, 2016, for communicating with the media. Despite this, Bruce Ohr and Steele communicated regularly for another full year, until November 2017. Ohr relayed all these communications with Steele to the FBI through Pientka and possibly two other handlers. On Nov. 21, 2016, Ohr had a meeting with Strzok and Page and was introduced to Pientka, who became Ohr’s FBI handler. Pientka was also present with Strzok during the Jan. 24, 2017, interview of Lt. Gen. Michael Flynn. The next day, Nov. 22, 2016, Ohr met alone with Pientka. Ohr would continue to relay his communications with Steele to Pientka, who then recorded them in FD-302 forms. During a meeting on Dec. 10, 2016, Ohr met with Simpson, who gave him a memory stick that Ohr believed contained the Steele dossier. Ohr passed the memory stick to Pientka. Ohr, in his testimony, detailed his interactions with Steele and Simpson, as well as his communications with officials at the FBI and DOJ. Notably, Ohr repeatedly stated that he never vetted any of the information provided by either Steele or Simpson. He simply turned it over or relayed it to the FBI—usually to Pientka. What Ohr didn’t know was that Pientka was transmitting all the information directly to Strzok. Steele wrote a document on Aug. 22, 2106, to be included in his dossier that detailed payments to Manafort from former Ukrainian President Viktor Yanukovych. Steele had known Deripaska since at least 2012, when he was hired by Deripaska’s U.S. lawyer, Adam Waldman, on behalf of Deripaska to assist in a lawsuit filed “by a business rival,” according to an article by John Solomon for The Hill. 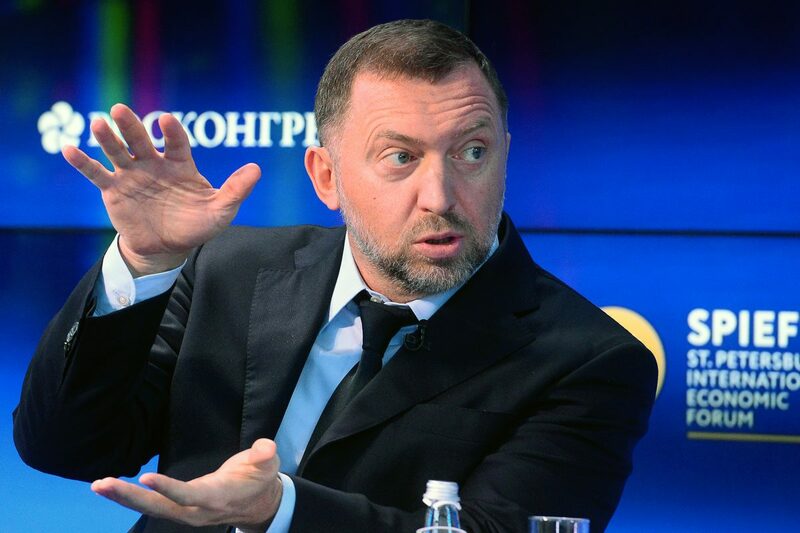 In late 2014, Steele and Ohr met in Washington to discuss cultivating Deripaska into an FBI informant on Russian organized crime, according to a New York Times article. This wasn’t disclosed during Ohr’s testimony. During a series of communications in early 2016, Steele appeared to be lobbying Ohr on Deripaska’s behalf, and Waldman’s name was also mentioned. 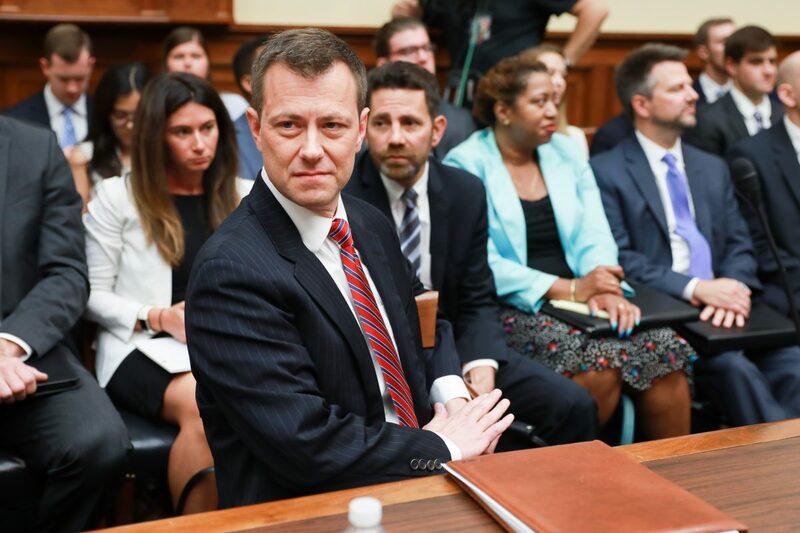 Notably, the FBI’s investigation, dubbed “Crossfire Hurricane” was formally opened the following day by FBI agent Strzok. Steele’s information was going directly to Strzok, after Steele had been terminated by the FBI as a source. Ohr testified that he thought the FBI was verifying Steele’s information—but Comey said the dossier remained unverified in December 2016. Meanwhile, Ohr continued to transmit information from Steele to the FBI throughout 2017. On at least two occasions in 2017, Ohr was provided with a new FBI handler. Most of his meetings took place at FBI headquarters but Ohr also had later meetings at the Washington Field Office. The information flow between Ohr and Steele typically went in one direction. Steele would provide information to Ohr, who would then provide it to the FBI. But in May 2017, the direction changed. Ohr: Yes, there was one occasion. Ohr: “On one of the occasions when I talked to the FBI to tell them I got a call from Chris Steele, they said, oh, next time you talk with him, can you ask him if he’s willing to meet with us?’ And I conveyed that back to Chris Steele. The FBI, which had maintained that when it uncovered a credibility issue with Steele, it immediately severed contact, was now looking to re-establish direct contact. And it was using Ohr to do it. In May 2017, the FBI suddenly decided to reach out to Steele through Ohr. The re-engagement attempt came six months after Steele had been formally terminated by the FBI on Nov. 1, 2016. 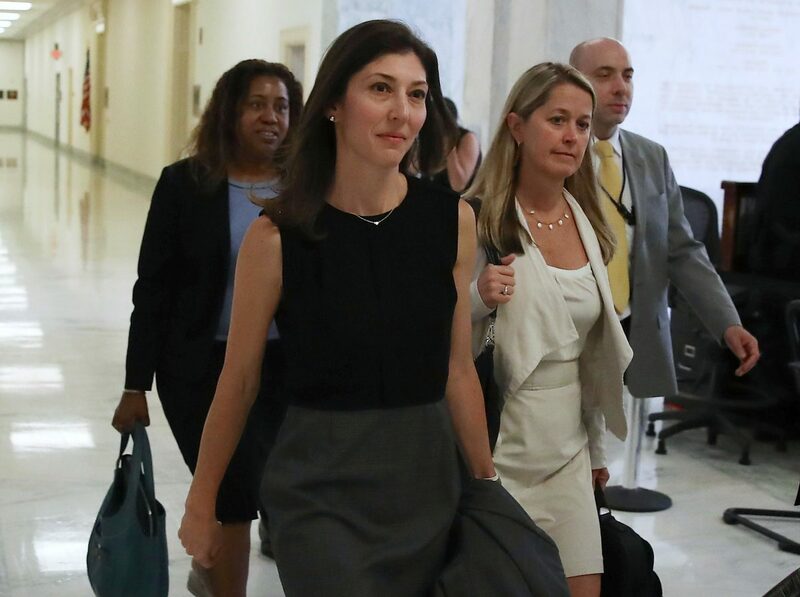 The texts that are being referenced were sent on May 15, 2017, and refer to a request that Ohr received from the FBI to ask Steele to re-engage with the FBI in the days after Comey had been fired on May 9. 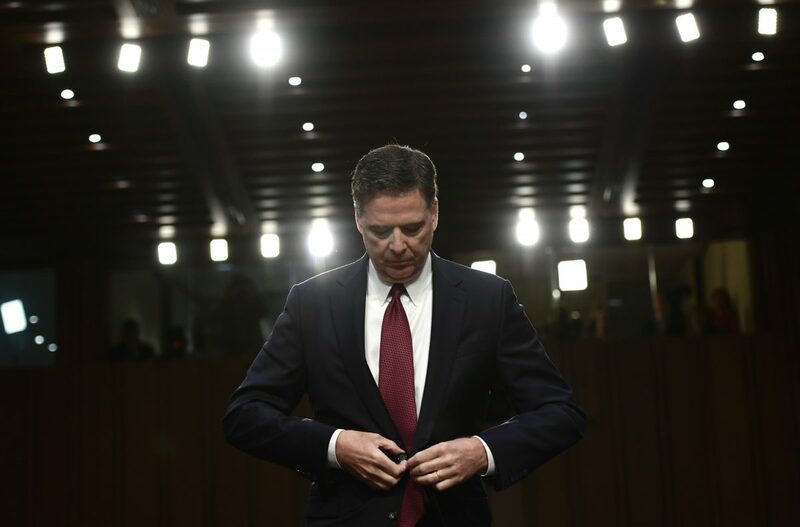 Comey was fired by Trump on May 9, 2017. This appears to have been the precipitating event that led the FBI to suddenly attempt to re-establish contact with Steele through Ohr. This was the only time the FBI used Ohr to reach out to Steele. Notably, McCabe was now the acting FBI director. On the morning of May 16, 2017, Rosenstein reportedly suggested to Acting FBI Director McCabe that he secretly record Trump. This remark was reported in a New York Times article that was sourced from memos from the now-fired McCabe. Rosenstein immediately issued a statement denying the accusations. Following Rosenstein’s meeting with McCabe, Trump met with former FBI Director Robert Mueller, reportedly as an interview for the FBI director job. Rosenstein was present at that meeting as well. The idea that Mueller would be considered for the FBI director role seems highly unlikely, although not entirely impossible. Mueller had previously served as the FBI director from 2001 to 2013—two years beyond the normal 10-year tenure. In 2011, President Barack Obama requested that Mueller stay on as FBI director for an additional two years, which required special approval from the Senate. We still don’t know what was actually said at the meeting between Mueller, Rosenstein, and Trump. On May 17, 2017, the day after Trump’s meeting with Mueller—and the day after Rosenstein’s encounter with McCabe—Rosenstein appointed Mueller as special counsel. In doing so, Rosenstein took the Trump–Russia investigation out of McCabe’s control. On the one hand, McCabe testified there was no obstruction from Trump, yet, just five days later, McCabe was attempting to convince Rosenstein to go along with his efforts to open an obstruction investigation into the president. Events suggest that McCabe’s efforts were met with alarm from Rosenstein, who responded by appointing Mueller as special counsel. Rosenstein may have also informed Trump of McCabe’s intentions. Rosenstein would now retain ultimate authority over the probe, and any expansion of Mueller’s investigation required authorization from Rosenstein. Steele’s biases against then-candidate Trump have been reported in the media. Ohr testified that he relayed these to the FBI prior to the election. “Prior to the election, when I spoke with Chris Steele, I got the sense he was very alarmed by this information, which I think he believed to be true. And so I definitely got the impression he did not want Donald Trump to win the election,” Ohr said in his testimony. “I don’t recall the exact words. I definitely had a very strong impression that he did not want Donald Trump to win, because he believed his information he was giving me was accurate, and that he was, as I said, very concerned, or he was desperate, which is what I then told the FBI,” Ohr said. We know that Steele had been interacting with the FBI prior to Ohr’s July 30, 2016, meeting with Steele. FBI agent Michael Gaeta traveled to London on July 5, 2016, for the express purpose of obtaining Steele’s initial two documents on Trump. Notably, it isn’t fully known to whom in the FBI that Gaeta transmitted Steele’s documents. The counterintelligence team didn’t receive them until mid-September. Gaeta, an FBI agent and assistant legal attaché at the U.S. Embassy in Rome, had known Steele since at least 2010, when the former spy provided assistance in the FBI’s investigation into the FIFA corruption scandal. But following Steele’s meeting with Gaeta, there had been no further contact with Steele by the FBI. After nearly a month, Steele initiated the July 30 breakfast meeting with Ohr. His tactic appeared to work. Following Steele’s July meeting with Ohr, and Ohr’s meeting with McCabe and Page in early August, the FBI was now fully re-engaged with Steele and, by association, Glenn Simpson and Fusion GPS. Ohr appears to have been unaware of these ongoing events. According to the Washington Post, in early fall of 2016, Steele and his partner, Christopher Burrows, met with former MI6 head Sir Richard Dearlove—who they had both served under. Dearlove advised the two men to work with an unknown top British official to get their information to the FBI. Steele also met with various media sources in the United States during two separate visits in September and October of 2016, including The Washington Post, The New York Times, The New Yorker, Yahoo News, and CNN, according to UK court documents. Separately, Steele talked with Mother Jones reporter David Corn via Skype. On the same day as Steele’s second breakfast meeting with Ohr, on Sept. 23, 2016, Michael Isikoff of Yahoo News, published an article based on an interview with Steele. The article, which was used to corroborate the dossier, would later be used by the FBI in the FISA application on Carter Page. At an undetermined point in September 2016—probably during this same trip to Washington—Steele also met with Jonathan Winer, a former deputy assistant secretary of state for international law enforcement and a former special envoy for Libya, whom he had known since at least 2010. Winer had received a separate dossier, very similar to Steele’s, from longtime Clinton confidant Sidney Blumenthal. This “second dossier” had been compiled by another longtime Clinton operative, former journalist Cody Shearer, and echoed claims made in the Steele dossier. Winer then met with Steele in late September 2016 and gave Steele a copy of the “second dossier.” Steele then shared this second dossier with the FBI, which may have used it to corroborate his dossier. According to the Guardian’s Luke Harding, Steele met with Sir Andrew Wood, the UK’s former ambassador to Russia, at some point prior to the 2016 presidential election. Wood later relayed information regarding the dossier to Sen. John McCain (R-Ariz.) during a meeting at the Halifax International Security Forum. McCain then dispatched longtime associate David Kramer to London to meet with Steele on Nov. 28, 2016, and review Steele’s memos. McCain later passed a copy of the dossier to FBI Director Comey on Dec. 9, 2016. It isn’t known if McCain also provided a copy to then-CIA Director John Brennan. Notably, Brennan did attach a two-page summary of the dossier to the Intelligence Community Assessment that he delivered to outgoing President Obama on Jan. 5, 2017. Ohr met with Simpson twice in 2016—once in August 2016, prior to the election, and again in December 2016. Ohr also had one call with Simpson on Jan. 20, 2017—the same day as Trump’s inauguration. Ohr testified that Simpson mentioned a number of names at the August 2016 meeting: Sergei Millian, Michael Cohen, Carter Page, and Paul Manafort. Ohr also noted that Page and Manafort had been previously mentioned by Steele at the July 30, 2016, breakfast meeting. Notably, the Aug. 22, 2016, meeting with Simpson preceded the FBI counterintelligence team having seen the Steele dossier—which they received in mid-September 2016. Other individuals within the FBI may have seen the first two Steele documents by this time as FBI agent Michael Gaeta received them directly from Steele in early July 2016 during the London meeting, which had been officially sanctioned by former Assistant Secretary of State for European and Eurasian Affairs Victoria Nuland. Ohr testified that he gave Simpson’s memory stick, along with one he received from his wife, Nellie, to FBI agent Pientka, who had been assigned as his handler. It isn’t clear if Ohr handed these to Pientka in a single meeting or if Ohr provided them to Pientka on separate occasions. Pientka’s receipt of the two memory sticks does provide a timing implication, in that it would imply that Ohr gave Nellie’s memory stick containing her Fusion research to the FBI post-election, given that Ohr first met Pientka on Nov. 21, 2016. Later testimony does make clear that Ohr turned over his handwritten notes of his meetings with Steele and Simpson on either Nov. 21 or Nov. 22. The timing of Steele’s re-engagement with Ohr was particularly notable, given that Steele had met with Gaeta in London in early July 2016, but had since heard nothing back from the FBI. To this day, the Steele dossier remains unverified. Steele had been working with the FBI prior to approaching Ohr. On July 5, 2016, Steele provided FBI agent Gaeta copies of his early memos. However, after Steele provided the information to the FBI, he heard nothing back in response. It was at this time that Steele, perhaps in concert with Simpson, decided to reach out to Ohr. Ohr, who met with Steele on July 30, 2016, didn’t appear to be initially aware that Steele was already engaging with the FBI—but he would later learn that Steele was indeed doing so. This sequence highlights the anomaly of Ohr’s actions. But it also points to his role in larger events. Ohr went to McCabe and Lisa Page in early August 2016 following his meeting with Steele at the end of July. There are two major questions raised by this discussion. How did Brennan come to have knowledge of Steele’s dossier in August 2016? And how is it possible that Page is saying “as of August of 2016, I don’t know who Christopher Steele is.” Page was present at the early August meeting in McCabe’s office where the entire purpose of Ohr’s visit was to fill McCabe in on what had been learned at his July 30, 2016, breakfast with Steele. It’s possible that Ohr never divulged Steele’s name at the initial August meeting with McCabe and Page. But that seems unlikely. Ohr is mentioned five times on Day One of Page’s testimony and twice on Day Two. Page’s name, by contrast, comes up repeatedly throughout Bruce Ohr’s testimony. Page’s statement is factually correct. FBI agent Michael Gaeta obtained the first two documents from Steele at a meeting in London on July 5, 2016. But it in no way precludes information that was subsequently provided by Ohr at the August 2016 meeting. Ohr noted at several points that he never informed anyone above him at the DOJ. At the time, Ohr occupied the highest career position within the DOJ. All positions above his own were political appointees. Ohr seemed to indicate his preference for keeping communications out of the political appointee level. But there was another individual who would also be communicating with the DOJ. And he was the person responsible for running the entire investigation. Despite being demoted in December 2017 and then being removed as director of the Organized Crime Drug Enforcement Task Force in January 2018, Ohr remained in an active position within the DOJ. Ohr’s official title at the time of his interview was senior counsel in the Office of International Affairs in the Criminal Division of the Justice Department. It appears that Ohr’s demotion, while significant, wasn’t as severe as originally thought. Recall that Ohr’s demotions took place at the end of 2017, and the start of 2018, Jeff Sessions was attorney general and Rod Rosenstein was deputy AG. Given Ohr’s role in events, it may have been considered legally prudent that Ohr not be allowed to have interaction with anyone within the White House.